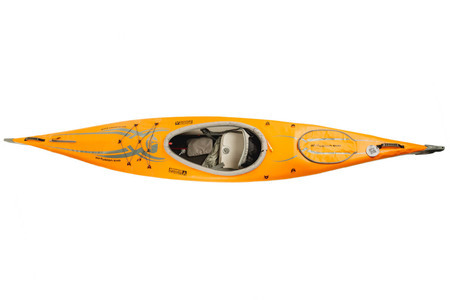 Designed to rival the performance and speed of skin-on-frame kayaks, while simplifying the setup procedure, the kayak’s design is a fusion of aluminum frame poles, high-pressure drop-stitch air chambers, and an enclosed outer Polyurethane skin which results in a streamlined high-performance kayak. 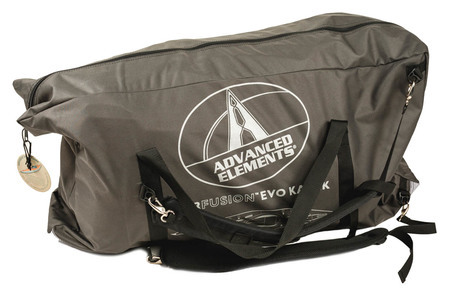 Drop-stitch technology (the same material used for inflatable SUPs) allows for great rigidity while low-pressure air thwarts replace bulky frame parts that are typically used in skin-on-frame kayaks. The aluminum keel frame creates a V-shaped hull for superior tracking while the Polyurethane skin creates a hydrodynamic surface for enhanced glide through the water and protection from the elements. 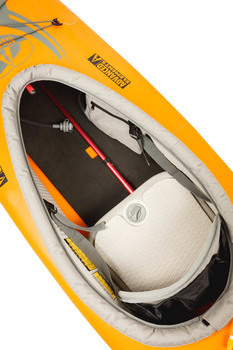 An inflatable kayak with good all-round performance thanks to drop-stitch technology. We were impressed by the simple set-up and portability.